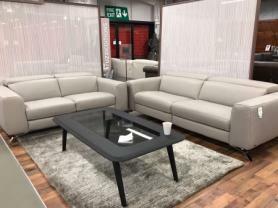 Grey easy aqua clean soft grey fabric 3 & 2 seater sofas. Slick modern off the floor design with neat lines. High back for that extra comfort with plenty of support.